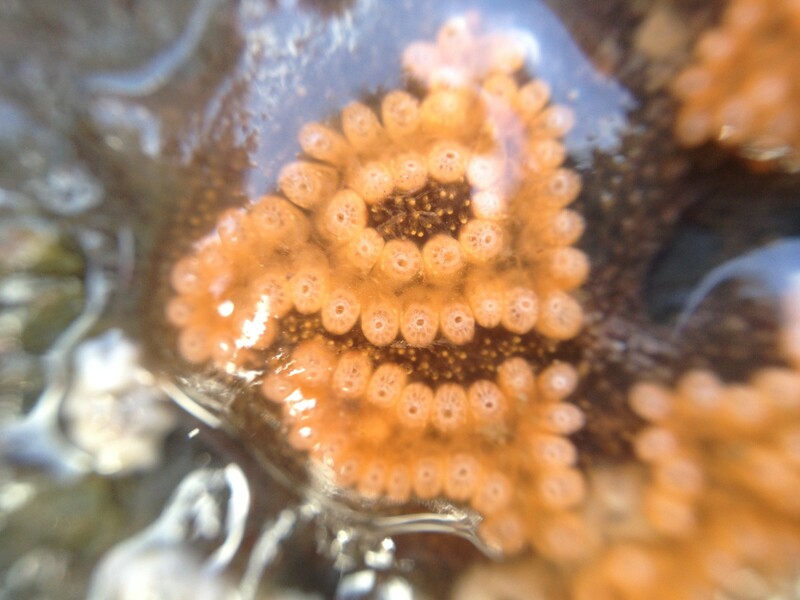 One of the most beautiful organisms growing on the rocky shore: the colonial ascidian Botrylloides leachi (it does not have a common name). 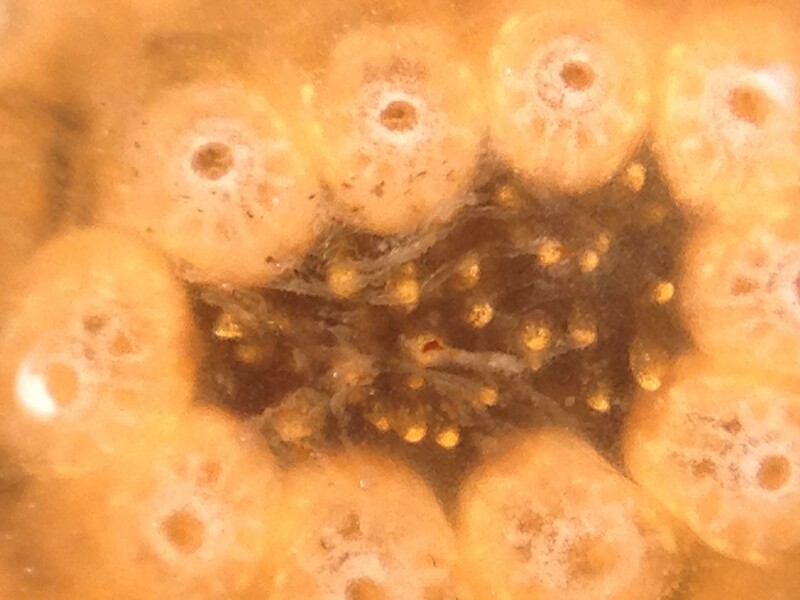 This is a type of Tunicate. The colony is embedded in a gelatinous but hard test, which is unusual to the touch. 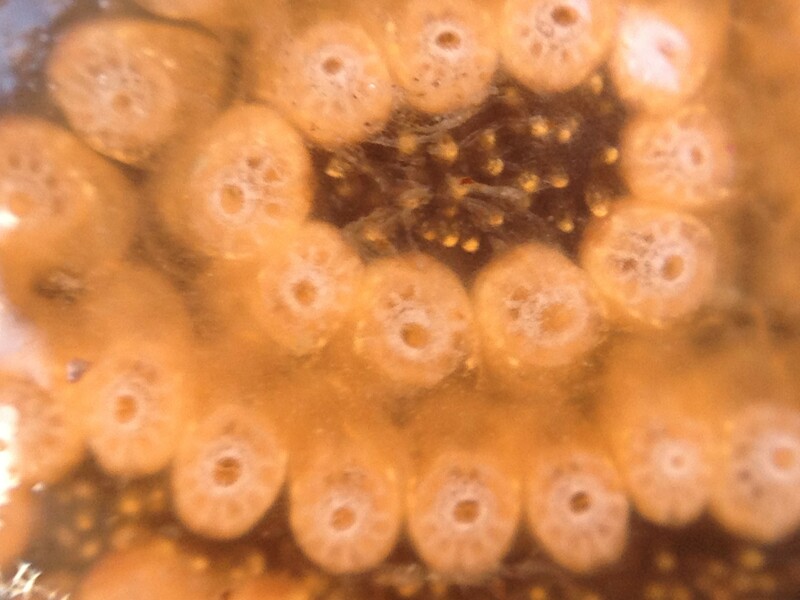 The test contains strings of individual tunicates (zooids); you can see each has a siphon on the top, water enters here, and is filtered by a mucus-net that is eaten along with the filtered microbes. Filtered water exits from a shared siphon in the middle of the colony. I am not sure what the yellow ‘stiles’ are, but suspect that they are budding zoids. In the related species Botryllus schlosseri (I will post some pictures of this species in another post), a model system for research, each zoid is resorbed in the test and replaced by a newly bud zoid on a weekly basis. This entry was tagged Botrylloides leachi, Botrylloides violaceus. Bookmark the permalink.